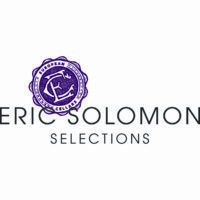 Some of my favorite wines in our store include brands from the Eric Solomon collection at European Cellars. His story is unique in that he never thought he’d become a savvy wine importer. Instead, his dreams trailed into the direction of becoming a rock drummer, which he pursed in his 20’s just to find out he had a truly detailed eye for the wine industry. Eric Solomon specializes in Rhone’s from the Langudeoc and Roussillon regions of France as well as many parts of Spain. Below is a list of five beautiful and supple wines from his collection. All of which I’ve thoroughly enjoyed on one or two occasions! Hazaña was one of the originals we started carrying at Dame’s from Eric Solomon. I tried this Spanish wine purely by mistake! One day I was walking by the shelf and I realized the label was damaged. I said to myself, “No one is going to buy this ugly bottle!” So I decided to purchase the hideous thing because it was one of our newer Tempranillo’s being introduced that month. Needless to say, it was worth every penny! This custom cuvee is mind blowing! It’s 85% Tempranillo and 15% Graciano, aged 10 months in French and American Oak, medium to full-bodied with lot’s of chocolate, dark fruits, leather, earthy notes, and graphite on the finish. 91pts, Jeb Dunnuck. In November 2015, we started stocking Evodia. At this time I was just venturing into the world of Grenache. Personally, Pinot Noir was always my “go-to” grape varietal for fruit forward wines that packed soft suppleness. That is until I discovered Evodia. I never could imagine that a red wine with such depth and deep ruby/purple hues could boast so much flavor and even add softness all in one gulp! I stumbled upon this wine during Thanksgiving a couple years back. What drew me in was the label. It has geometric shapes, tiles embedded in an obscure sequence of blues, oranges, reds, and all colors of the rainbow. And if you think of the word “Tessellation” you would then realize that’s where the name of the wine derived from. A repeating pattern, just like Tessellae. A wine of repetitive consistency and finesse! From the French region of Côtes Catalanes, it is 100% Carignan. The winery itself practices sustainable organic farming and the grape vines are around 70 years old. Full-bodied, ripe, no hard edges, blackberries, plums, spice, and pepper. All yours for an incredible, $14.99. 92pts, Wine Advocate. This brings me to my final point. Tessellae GSM is a 93 rated wine by the Wine Advocate. In the wine world, this is a superb and decadent rare find. Why, you might ask? It’s extremely rare for wines that sell for under $20 to get this high of a rating. At $14.99, you’ve hit the jackpot with Tessellae! From the Cotes du Roussillon region of France, it’s a blend of Grenache, Syrah, and Mourvedre with notes of kirsch, blueberries, pepper, and violets. Buy a case! Just make sure to savor every last drop! You won’t be sorry! Jean-Marc Lafage and Eric Solomon teamed up together to create this outstanding cuvee! A 94 rated piece of heaven by the Wine Advocate. It is a blend of Syrah and Grenache, Bastide Miraflors lies silently for 12 months in concrete tanks to mature into what I call luxurious perfection. A deep purple color with killer notes of smoked meats, chocolate, blackberry, and black raspberries. Did I mention it changes in the glass as you drink it? Decant this wine and allow it to breath for at least 30 minutes. It’s a sensational value at $15.99. Do yourself a favor and buy it now while supplies last. A limited quantity was made. Cheers!